RF HAMDESIGN is an engineering oriented organization specializing in the design and manufacture of high performance parabolic antennas, computer controlled Antenna Rotators, 3dB high power RF couplers, RF High Power Antenna power splitters, directional RF couplers and more items for RF transmission from HF through Microwave frequencies. RF HAMDESIGN is equipped with Network analyzers, power meters, frequency counters for 10Hz - 26,5GHz. We are using e.g. Marconi, HP, Hameg, Rhode&Schwarz, Rigol Measurement Equipment. * Keep up with RF HAMDESIGN on Twitter ! RF HAMDESIGN ships daily world wide !! SPID / RF HAMDESIGN Supplied BIG-RAS and Tri-Pod to Peru !! 3-D ash plumes from Sabancaya volcano (Peru) by millimeter-wave radar. Some photos to illustrate the recent campaign ClerVolc / IRD measurements of ash plumes of the Sabancaya volcano (Peru) by radar remote sensing and disdrometer. An Italian Artist did liked our 3Meter Mesh dishes and placed 3 of them as an art object in Venice Italie !! This 57th International Art Exhibition, titled Biennale Arte 2017, is open to the public from Saturday May 13th to Sunday November 26th, at Arsenale and Giardini venues, and in several locations in Venice. The show features 120 invited artists, 103 of these are participating for the first time, 86 National Participations, Special Projects, and 23 Collateral Events. 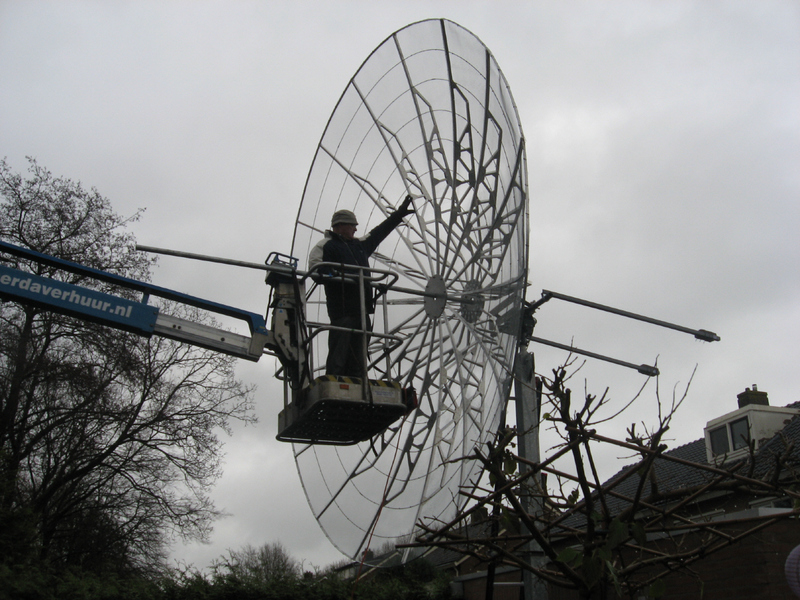 RF HAMDESIGN 1M2 Dish and ISS Dish feed used to make contact with the ISS Station ! On Tuesday morning at 1:19am, local Queensland time (Mon 2016-06-13 15:19:15) Shane was asked by the ARISS team to attempt a live video link up with the ISS utilising the HAMTV equipment and my ground station located in Glenden Queensland Australia. 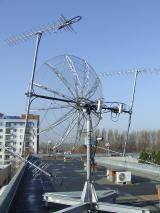 The used ground station (1M2 Dish and ISS Dish feed) was supplied by RF HAMDESIGN. 3M0 Mesh DISH Build in 6-PETAL ! A CubeSat is a miniaturised satellite (10x10x10 cm, weighing 1 kg) which offers all the standard functions of a normal satellite. 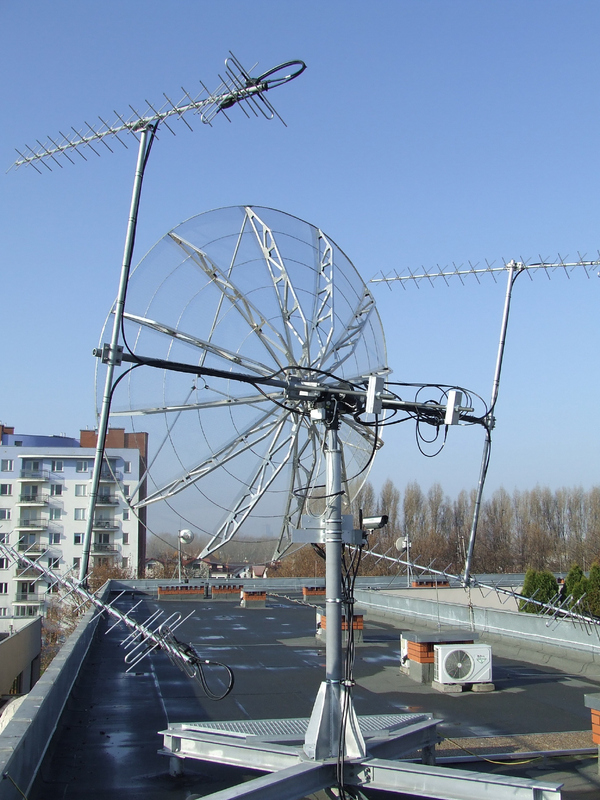 RF HAMDESIGN has delivered complete receiving and transceiving antenna dishes and track systems for these projects. We have lots of customers, but more importantly, we have lots of satisfied customers. Thats is importand to us, it tells us that we have earned their trust, and that makes us proud. BIG-RAS/HR AZ & EL ROTOR NEW !!! SPID BIG-RAS/HR, Azimuth & Elevation High Resolution model ! Only during business hours, only in english or Dutch, only for sales matters. For support matters please contact us by E-Mail, see our contact RF HAMDESIGN page. Please allow a delay of 15 minutes for the first reply. To contact RF HAMDESIGN by WhatsApp, our WhatsApp telephone number must be stored in your contacts !